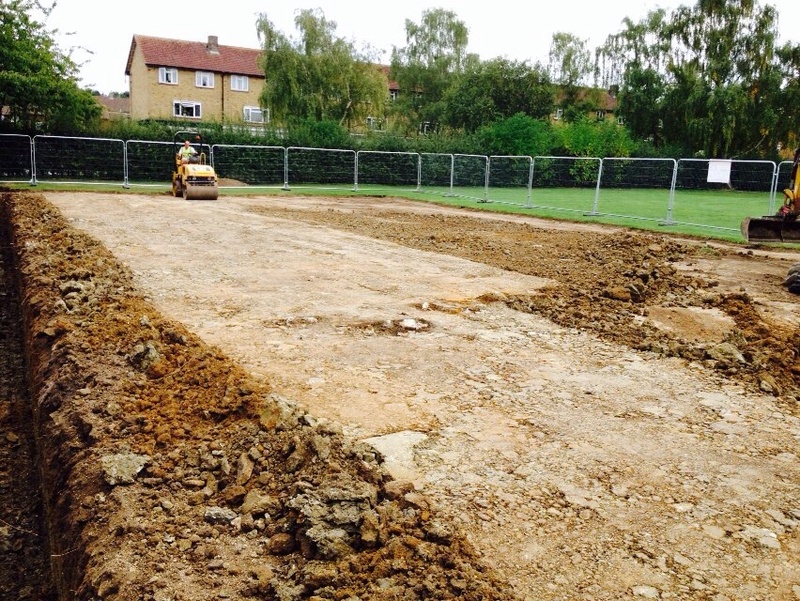 There are a lot of factors to consider when you choose to have netball court construction carried out at your school, college, club or leisure centre. 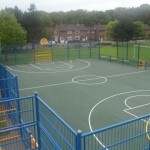 One of the most important choices to make is what type of surfacing specification you want to install as this can have a major impact on the performance and safety characteristics for the sports court. Specifications will vary depending on how the area will be used, and whether it is for recreational or competitive play. We are able to carry out the installation work for a sports facility like this so don’t hesitate to contact us if you need more information. Let us know some details about your project including a rough area size along with the location so we can give you an accurate quote. 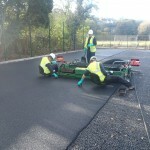 The most popular sports surfaces used for building netball courts are type 2 macadam and type 3 polymeric rubber, these provide the most appropriate playing environments and slip resistance qualities for netball. 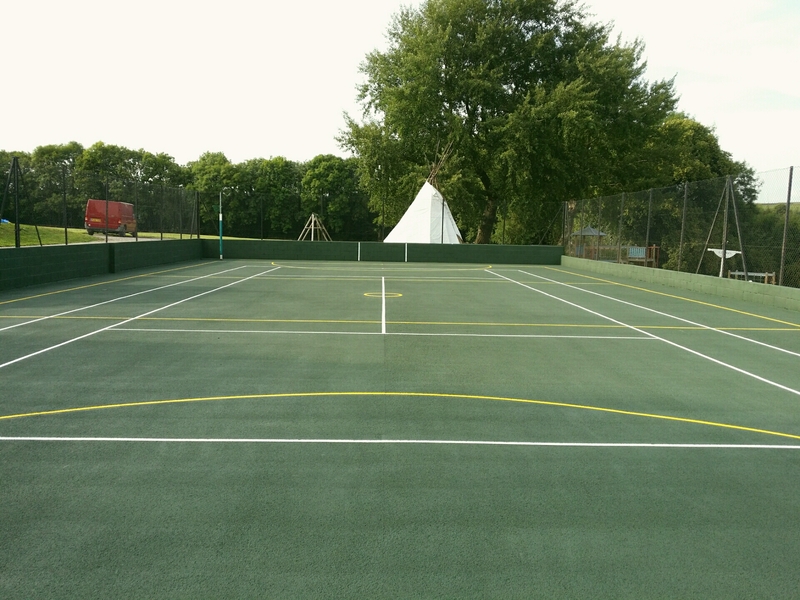 However, if you’re looking to install a multi use games area which can be used for a number of different sports such as tennis and football, other surface specifications such as type 1 macadam could give you a better all round facility. 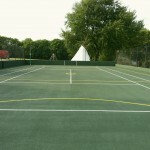 Click here to see more details on the various options when it comes to multi use sport surfaces. As well as the surfacing installation, we can supply extra equipment and applications to go with the overall netball construction project. 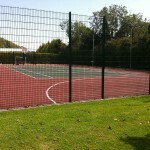 Some of these additional features include rebound fencing in a range of specifications, as well as professional floodlighting which allows the area to be used after daylight hours. This is a great feature if you want to create extra revenue by renting the space out for evening matches and training sessions. The flooring will typically have a slip resistant paint coating applied once the construction process is complete. 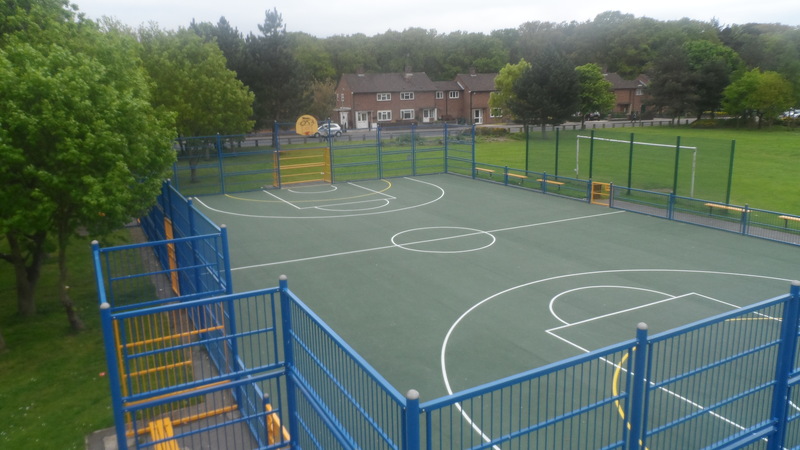 These sports court paint coatings give the netball surface more grip and therefore enhance the performance and safety of your court, they can be applied in a range of bright colours which give the facility a personalised touch to match school or team colours. 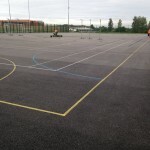 We can also apply professional line markings as part of netball court construction to ensure accurate game scoring and to differentiate between different sports on a multi use games area. 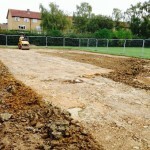 The costs involved with carrying out a netball court construction project can vary greatly depending on the specification of the surface, the area size for the court, access to site and a number of other factors. 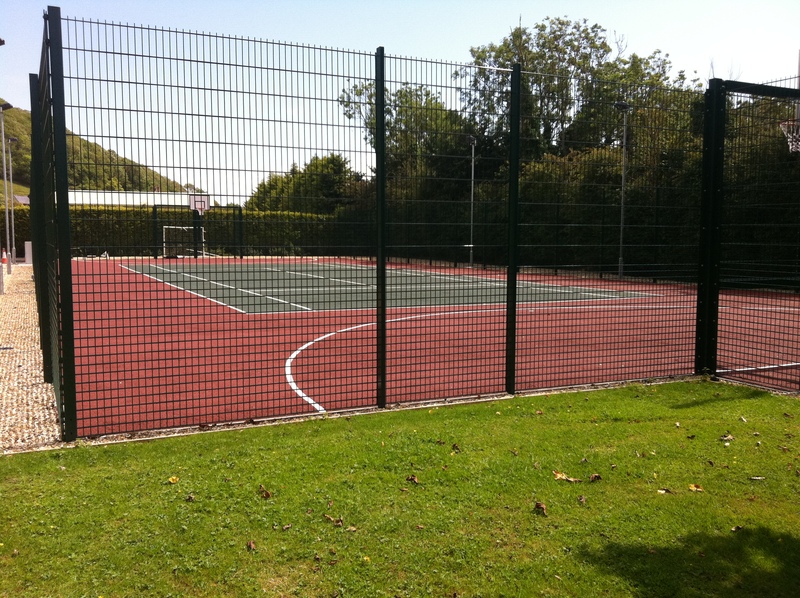 Costs can be managed by compromising on certain aspects of the netball surface installation, for example the surfacing specification or the type of fencing and floodlighting you choose to install. Our aim is to offer you excellent service and a great quality end result which performs well and is safe for your players, so we can tailor a quote to meet your requirements which still fits in with your individual budget. Be sure to let us know what budget you have to spend, and we’ll be able to tailor our prices to suit this. There are many ways to alter and adjust the specification to make it more cost effective for you, so don’t hesitate to ask if this is something you need. Just complete the enquiry form on this page to get in touch with one of our advisors today. Another way of keeping the overall costs down after the construction has been completed is by applying a regular maintenance plan to the facility once it has been installed. 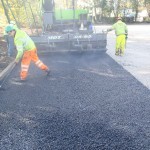 This will help keep the surface in top condition and prevent the need for costly repairs and resurfacing in the future. Our installers are able to complete a resurface if necessary, and we could also carry out repairs to fix any damaged areas within the flooring. The simplest method of maintenance for a sport surface is regular brushing and pressure washing to clear dirt and debris which could damage the surface if not removed. Carrying out this sort of cleaning and maintenance regularly will ensure that your netball facility is durable, performs well and is safe for players to use for a long time. Plenty of specifications and designs are available when building these facilities, so you can completely customise the final product. Please fill in the contact form on this page for more details on our prices and the services that we provide. Our friendly team will get back to you as soon as possible to explain the full installation process and offer your a quote. Many options are available when it comes to netball court construction, and we will provide all the advice you need for this kind of project. Just let us know some basic information about the project and we’ll send you a quote.